The annual PPWC convention is an event symbolic of our organization: democratic, participatory, independent, and always looking to the future while remembering our proud roots. 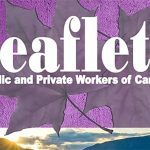 This defines the 51st Annual PPWC convention, held in Cranbrook, on the half century anniversary of the founding of our union. Local 15 should be congratulated for being gracious hosts and organizing such an exceptional convention. The debates during the labour school and convention throughout the week, on a wide range of issues, captivated delegates and furthered our commitment to the cause of workers’ rights and social justice, both inside and outside the workplace. The issue of workers’ rights was brought to the forefront at the labour school, where Confederation of Canadian Unions (CCU) President Joanie Cameron Pritchett and President Vice-President John Hanrahan discussed the struggles taking place by unions and workers around the world. 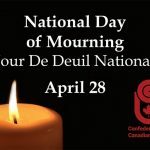 Unknown to many Canadians, millions of workers around the world risk their lives to gain the basic rights we enjoy in Canada today. Hanrahan had no trouble convincing PPWC delegates that standing in solidarity with workers everywhere is vital to extending those rights throughout the globe and protecting them here at home. 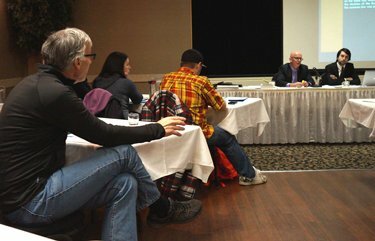 Another highlight of the labour school was a comprehensive, day-long seminar by Will Clements and Chris Misura, labour and human rights lawyers from the firm of Glavin, Gordon and Clements. Clements, a past chair of the Labour Law Section of the Canadian Bar Association, and Misura, a member of the Canadian Association of Labour Lawyers, spoke about concepts and emerging trends in labour law, two vitally important issues overlooked by many unions. Employers have used the courts to stack the deck against unions for far too long, and the consensus from the seminar is that workers must become labour law experts in their own right to better prepare themselves against attacks by employers. Delegates took a strong interest in the subject material, leading to a lengthy question and answer session, so much so that Clements and Misura had difficulty getting through their scheduled presentations. In fact, both were invited back two days later for a secondary question and answer period during the main convention, which again brought increased participation from delegates. Those attending convention were also provided a tour of the Skookumchuck pulp mill, just outside of Cranbrook. PPWC delegates who work outside the pulp and paper industry, as well as convention guests, found the tour particularly interesting. For some, it was their first time inside a mill, or an industrial factory of any kind. Tour guides discussed the day-to-day schedules of workers, health and safety issues, foreign competition in the pulp and paper industry, and how the PPWC is leading the effort towards more environmentally-friendly industrial practices. The PPWC convention opened with a talk by Dr. Margo Watt, a psychology professor from St. Francis Xavier University. 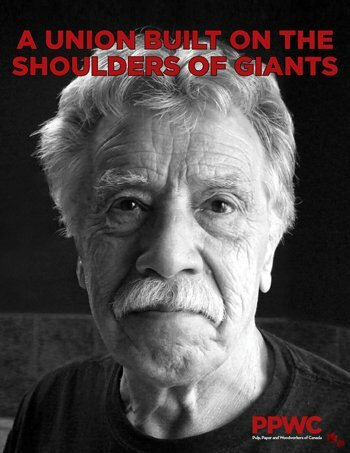 Watt discussed the issues of fear and anxiety, and how they affect the manner in which unions are seen by members and non-union members alike in the media and mainstream society. Peppered with humour and colourful anecdotes, the delegates took well to the presentation and quickly found common cause with Watt, especially when reminding us of the struggles faced in convincing friends and family alike that unions are in immense benefit to working people and play a positive role in the economy. 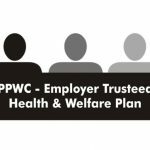 Each PPWC includes convention reports from the executive, as they are an important way in which the leadership keeps rank and file members up to date on activities and events. PPWC President Chris Elias, from Local 26, talked about educational courses organized throughout the year, discussed position papers she contributed to, and warned about the recent attacks on workers’ rights and unions by the federal government. This includes legislation like Bill C-377, which will radically increase administration costs for unions, especially medium-sized, independent ones like the PPWC. Elias has been president for four years, but decided not run for another term. I would personally like to thank her for everything she has done for our union. She will be sadly missed. First Vice-President Frank Robertson, from Local 9, spoke about the negotiations during the past year, specifically the pattern bargaining of various mills and that of other certifications. Robertson discussed the importance of having younger people involved with the PPWC. Considering the challenges faced by the labour movement in the coming years, increasing the number of active young people in the union is vital to our strength and continued growth. 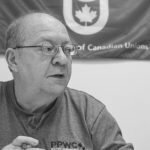 Second Vice-President Gerald DeJong, of Local 8, discussed various political issues and how the PPWC took part in activities throughout the year. With pride, DeJong energetically spoke about our union organizing several key events, including the “Stop the Enbridge Pipeline” rally in Victoria and various “Ban Raw Log Export” demonstrations on Vancouver Island. Even when facing challenges, there isn’t anything people can’t do when they work together for a common cause. That’s what the labour movement has always been about, and what the Public and Private Workers of Canada of Canada will always stand for. DeJong also discussed his involvement in organizing the Pinnacle Pellet that lies between Quesnel and Prince George in northern British Columbia. 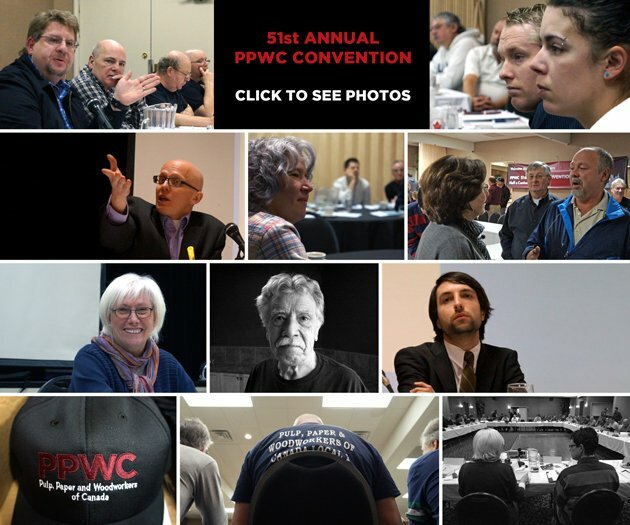 Various media covered the events, and the PPWC was able to raise its profile in communities throughout the province. 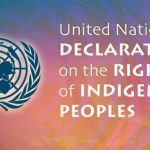 The PPWC has developed a position paper on the issue of sustainable development, which is available on the website (www.ppwc.ca/policy-paper). Blundell mentioned various conferences he participated in, such as the Natural Resources in BC Conference and the 5th International Bioenergy Conference and Exhibition in Prince George. He also discussed the letter of opposition prepared by himself and President Elias, which spoke out against the Enbridge Northern Gateway Project (also available on the website at www.ppwc.ca/news). Blundell ended his report on a lighter note, talking about a household product containing titanium dioxide that could possibly counteract climate change. 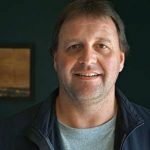 PPWC Occupational Health and Safety Officer, Wayne Warawa of Local 2, discussed his participation in various conferences and seminars on the issue on health and safety during the past year. Warawa mentioned the success of the inaugural Health and Welfare Conference. Arnold Bercov of Local 8, the PPWC Forest Resource Officer, discussed the Environmental/Forestry Paper Here’s What Needs To Be Done To Save Forestry In BC. Written with assistance from the Canadian Centre for Policy Alternatives, the paper was later submitted to the Vancouver Sun by President Elias. 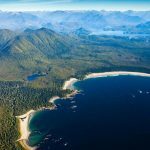 Bercov also spoke on the Timber Supply Review, the Stop Log Exports Rally in Victoria, and meetings he organized with Forest Stewardship Council (FSC) Canada. 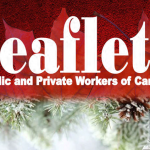 The Leaflet Editor Ron Richardson, of Local 9, gave a short report outlining the next editions of the PPWC flagship magazine and other new ideas for the coming year. 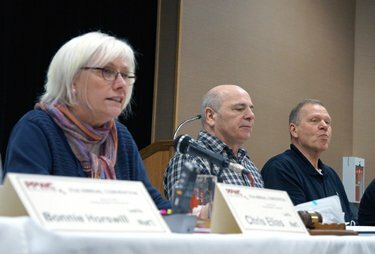 CCU President Joanie Cameron Pritchett and Vice-President John Hanrahan addressed convention about the activities and projects of the labour association. The CCU includes almost 8,000 members and four affiliated unions throughout the country, including some PPWC locals. Working people understand well that utilizing social media and outreach to promote events and issues are vital to defending the political and economic positions of unions. Pritchett touched on how the CCU is going about that, and how the association has worked with social activists and other progressive organizations to fight for important causes. Pritchett also discussed the significance of unions and workers – wherever they’re from – to join together during tough times to protect and extend the gains we have won through years of struggle. As John Hanrahan reminded delegates throughout the week, the term “solidarity” isn’t just a cliché. It is a fundamental component of any labour movement wishing to protect the interest of workers, especially during times of austerity. The convention also welcomed Jan Noster, President of the Construction Maintenance and Allied Workers Union (CMAW). PPWC delegates were more than impressed when he spoke passionately about how not once – but twice – his union broke away from larger unions to become an independent, much like the PPWC. Noster finished his speech with a raised, clenched fist and received a standing ovation from the PPWC delegates. In addition, Norma Blissett, the NDP candidate for Kootenay East who lives in Cranbrook, discussed the upcoming provincial election and what she and her party are prepared to do for B.C. after they are elected. The NDP is well ahead of the Liberals in opinion polls, and unions throughout the province are hoping that an NDP government will stick to its promises and create an environment where workers – and the issues we care about – are placed at the top of the agenda. During the question and answer period, many important questions were raised. Looking forward, the 2014 convention is planned to be held in Crofton by Local 2. They will have a lot to show after this well-organized and productive convention in Cranbrook. I want to personally thank Local 15 for their hospitality. History shows us that even when facing challenges, there isn’t anything people can’t do when they work together for a common cause. That’s what the labour movement has always been about, and what the Public and Private Workers of Canada will always stand for. Here’s to another successful year ahead. Les Hillier, Chris Fabbro, Travis McLean were elected. The Alternate will be Dave Lambert. Mike Conci, Gary Fiege, and Dave Seright were elected. The Alternate will be Travis McLean.